Customers can choose the next level in 21st century office seating with an X-Chair available for a 30 day risk free trial at www.tryxchair.com. Well, it’s time for an upgrade in office chairs. The office chair has a new look and feel that is updated and you’ll want one. The new office chair is the X-Chair that is designed with 21st century technology. In this one chair you get plenty of style, 10 ergonomic adjustments, lumbar support that automatically adjusts to the shape of the user, and lots more. One of the problems with anyone searching for a comfortable office chair is most people will bypass the chair that they want for a cheaper chair that offers less comfort. What if you could get the right chair at the right price? This is what you’ll get with an X-Chair. The chair is very stylish and will do your body right. 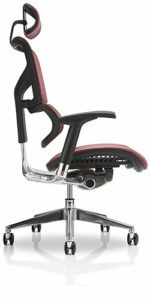 Compare the X-Chair with the best-selling Executive Chairs on Amazon.com. Click for best pricing on Executive Chairs. Risk Free Trial: 30 day money back guarantee that allows customers to return their chair with 30 days if they’re unsatisfied with it. Adjustments for Entire Body: The X-Chair has adjustments for your arms, seat, back, headrest, and lumbar so you can find the most relaxing positions throughout the day AND you have the option to easily make adjustments as you see fit. Dynamic Variable Lumbar Support: This feature intuitively adjusts itself to your body every time you move. Keeps you comfortable and supported as you change positions. SciFloat Infinite Recline: This features does what wheels do, facilitate motion throughout your day. Tilt Tension & Tilt Lock: Adjust the tilt tension changing the resistance when you recline OR lock the recline to put your feet up. Height Adjustable Backrest: The adjustable backrest allows you to raise the dynamic variable lumbar support to fit the curve of your back. Adjustable Seat Height: Adjust the seat height so your feet will rest flat on the ground and knees at a 90 degree angle. Adjustable Seat Depth: ensures you have proper distance between the back of your knees and the chair. Adjustable Headrest Height: Adjust the height of the chair’s headrest. Premium Mesh & Leather: Fabric Suspension System disperses your weight evenly across the chair to remove weight from sensitive pressure points. X1: $649.99 – Classic Black with black and gray mesh color options. X2: $749.99 – Polished Aluminum Base and 4 soft to the touch K-Sport material color options. If you’re looking for a stylish chair that has top of the line ergonomic advancements then the X-Chair advertised at www.tryxchair.com is everything you’ll ever want in a great chair. You can experience an entirely brand new way of sitting and maneuverability. Take advantage of the x-chair 30 day trial and if you don’t like the experience then send it back.